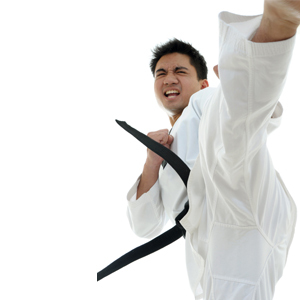 Tae Kwon Do means the way of the hand and foot. It is a traditional Korean martial art that not only provides major physical benefits, but also offers a positive, healthy way of releasing everyday stress and tension. 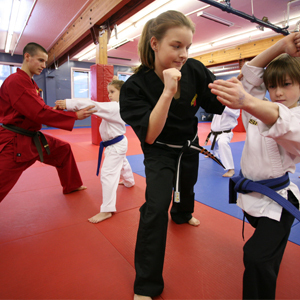 Paramount Martial Arts Center provides karate for children, teenagers and adults. 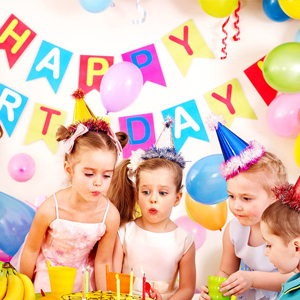 We pride ourselves on fun, structured classes, taught in a safe and positive environment by professionally trained instructors. Our carefully structured programs go far beyond punching, blocking and kicking. We use the Martial Arts as a means of teaching Life Skills, in order to help improve all aspects of a student’s life. Master Barb Hauger, Began her Tae Kwon Do training in 1983. She quickly realized that the martial arts are much more than blocks, punches, and kicks. She found that not only did she learn how to defend herself, but her confidence soared and her overall happiness increased. Now, as an instructor & owner of Paramount Martial Arts Center, Master Hauger strives to give back to students – helping them realize the positive impact of the martial arts. Barb’s goal has always been, to help improve as many lives as possible. 1st Degree Black Belt, 1986 from Grandmaster Duk Sung Son, World Tae Kwon Do Association. 2nd Degree Black Belt, 1988 from Grandmaster Duk Sung Son, World Tae Kwon Do Association. 3rd Degree Black Belt, 1992 from Grandmaster Duk Sung Son, World Tae Kwon Do Association. Master Certificate, 2010 from American Tae Kwon Do Academy and the Black Belt Promotion Review Board in Valley Forge, PA.
Providing Tae Kwon Do, Korean Karate & Self Defense for kids/adults/families in Somerset County of PA including: Acosta, Addison, Berlin, Boswell, Central City, Champion, Confluence, Davidsville, Fairhope, Friedens, Garrett, Glencoe, Gray, Hidden Valley, Hollsopple, Hooversville, Jenners, Jennerstown, Jerome, Listie, Meyersdale, New Baltimore, Quecreek, Rockwood, Shanksville, Sipesville, Somerset, and Stoystown.